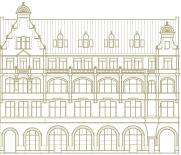 Even in a picturesque and historic city such as Wroclaw, Rzeznicza Street located just 100 meters from the Market Square is recognized to be one of the most beautiful and sought after addresses with many of its buildings famous for their architectural design. Traditionally serving as a finance center for Wroclaw, the Street now hosts prestigious tenants such as Deutsche Bank and Sofitel Hotel as well as some of the city’s leading bars and restaurants, giving the street a unique mix of both business and social activities. Rzeznicza 28-31 with its unique, ornamental façade fashioned from sandstone is the most foremost building on this prestigious street and has recently been renovated and now provides office and retail space of exceptional character. 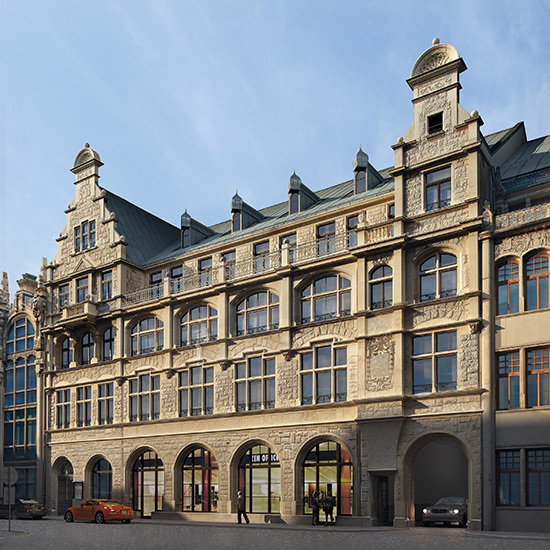 The building was designed in 1900 by the world famous German architect Karl Grosser and occupies an important position in the list of Wroclaw’s monuments being truly representative of the Neo-Renaissance style. 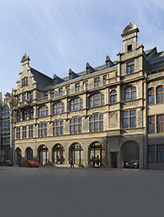 Formerly home to the city’s Post Office, the thoughtful and thorough refurbishment which succeeded in restoring the splendor of the building whilst adding the highest standard technical solutions, resulting in a truly inspirational work and leisure environment. An inspirational building where one can work and socialize. 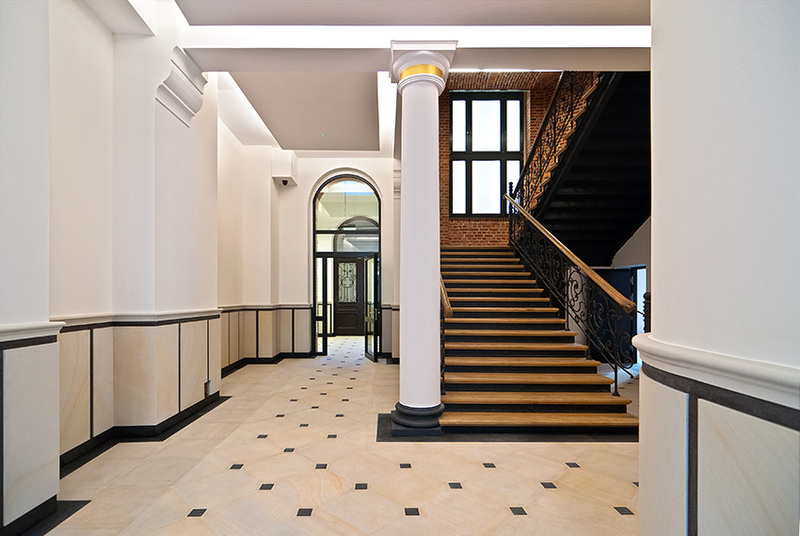 When entering the building either through the main entrance or the courtyard, immediately one’s spirits are lifted; a three meter wide staircase, finished with uncovered rustic brick and wooden stairs, leads you to the upper floors with spacious, open-plan office areas, impressive high ceilings, decorative columns and an unrivalled level of high quality finishings. A combination of brick, terrazzo, mosaic, lastrico as well as meranti wood and raw steel plays tribute to the history of the building and is a feast for the eye in terms of colours, textures and materials. For the quieter moments of the day or just for a simple lunch break, the breathtaking courtyard hidden at the back of the building provides elegant tranquility. Any visitor to the building cannot help but be struck by its timeless elegance and heritage, all of which will enhance the quality of anyone’s working life.